On June 27th, 2017, the grand opening of the root cellar at the historic acadian Village of Nova Scotia took place. 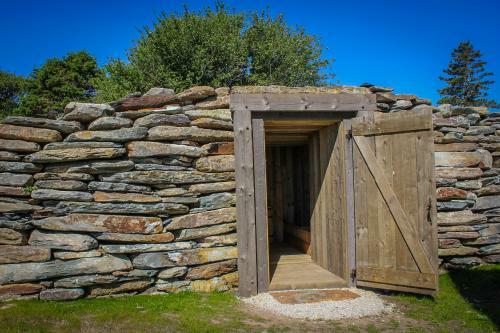 The root cellar played an important role in the life of the Acadians of this region and surrounding areas. A root cellar is a structure that was built in the days before electricity in order to keep vegetables from freezing in the winter months and to keep its contents cool during the warm summer months. 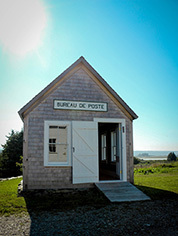 On June 11th, 2015, the grand opening of the post office took place at the historic acadian Village of Nova Scotia. Now open to Village members and tourists alike, this building is filled with a rich history. You are also able to buy post cards and stamps from our Village gift shop to have them posted directly from our own post office. 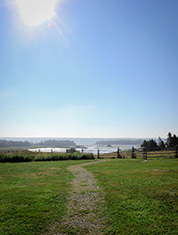 The official opening of the nature trail at the historic acadian Village of Nova Scotia took place on June 5th, 2012. The nature trail is now open to Village members and visitors as well. On August 24th, 2010 at the historic acadian Village of Nova Scotia, many community members came to witness the launching of La Tatane into the Pubnico Harbour. 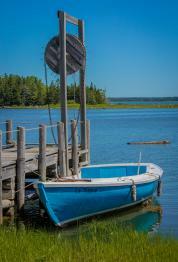 La Tatane is our reproduction of a traditional lobster fishing boat from the early 1900s.